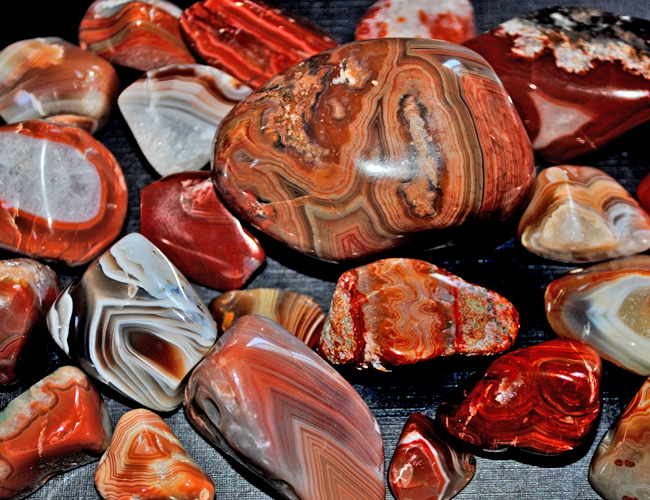 Q: Where can I find agates in the Upper Peninsula? A: Right here on Lake Superior while enjoying your stay with Deer Park Lodge Resort. Lake Superior Agate Hunting is both extremely fun, addictive and at the same time, quite the challenge. There are people who have enjoyed Lake Superior Agate Hunting for decades who have a great collection, which took a long time to build up. And then you have your first time hunter that will find a massive agate within an hour. Once you find one, it's hard to stop. These semi-precious stones are marvelous to find, polish, cut, and make beautiful artisan projects out of. Because no two stones are alike, they are pieces of art handcrafted by God and nature. Their worth depends on the type of semi-precious material that at one time filled in the bands of the stone. It is common to find some with amethyst, citrine, smoking quartz, just to name a few. If you are coming to visit with young children, they will love this great past time here on Lake Superior. 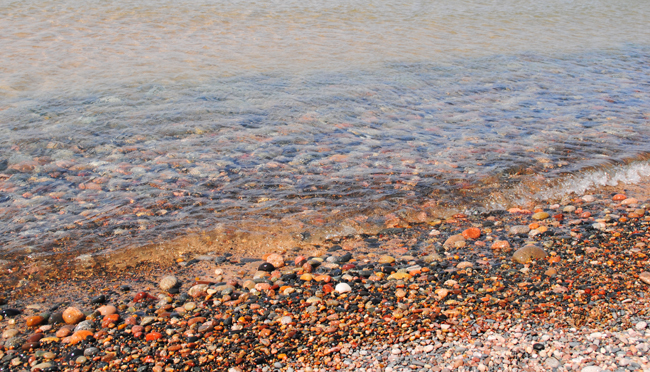 Our resort is located just 1,800 feet from Lake Superior. We have collections of our own for viewing right at our General Store. It does help to look at specimens before venturing out your first time. Once you get the "eye" for it, you got it. The gemstone comes in various sizes. The gas pockets in which the agates formed were primarily small, about 1 cm in diameter. A few Lake Superior agates have been found that are 22 cm / 8.5 inches in diameter with a mass exceeding 10 kilograms / 22 lbs. Very large agates are extremely rare.